It is almost Valentine's Day, I'm not sure if it's a Christian holiday or not, but alot of society thinks you have to be with someone. Wrong! Valentine's Day is a day to celebrate with the ones you love indeed, but what better love is the love of Christ? There's no shame being single or with someone, but what is the main focus? Jesus. Make room for Jesus in your life wherever you go and whatever you do! 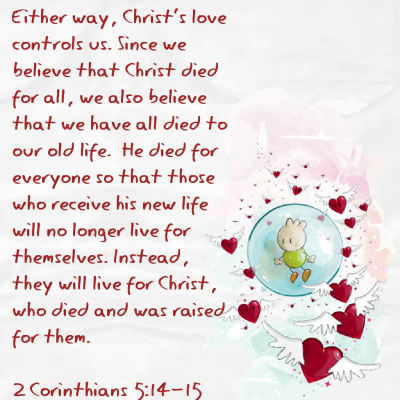 This entry was posted in Verses of the Week and tagged God is love, Valentines Day by Tigger. Bookmark the permalink. Well written Tigger! The love of Christ is the best indeed! His love is unquenchable, unchanging and everlasting. It's so deep and pure that He even loves the enemies of the Cross. Happy Valentine's weekend!